Wisconsin is famous for a few things: cheese curds, the Green Bay Packers and an SNL sketch that focuses a bit too much on our “accents.” After a couple decades of listening to music, I could count on one hand the number of bands who made it big with roots tying back to my home state. Today’s band is not only from here, but might be the strongest selling Wisconsin act of all time. Butch Vig founded Smart Studios in Madison, Wis. back in 1983. At that very studio he would go on to produce albums like Nirvana’s “Nevermind” and Smashing Pumpkin’s “Gish.” It was during these types of sessions Vig and his pals wanted to come up with a different kind of album highlighting some of the underutilized techniques in the industry. In 1994 they started to try to find the sound, but their work sounded “like garbage.” Not letting that detract from the end goal, the band name was born. They quickly determined they needed a female lead and found a music video with a young lady named Shirley Manson providing the vocals. They flew to London to meet her and felt they had a match. After inviting her to Madison for a tryout, the audition went about as poorly as one can go. Since they liked her personality and style so much, they decided to give her another shot, and they would not regret it. After penning an album in the north woods of Wisconsin, the band felt ready to release it in August of 1995. Their self-titled debut was an immediate success critically, with many reviews hailing the album as “innovative.” Combine that with three major singles released to radio ranging from September of 1995 to March of 1996, the album would spend many weeks on top 20 charts worldwide. After two Grammy nominations, the album was a surprising huge success. To date, it has sold over 4 million copies worldwide. 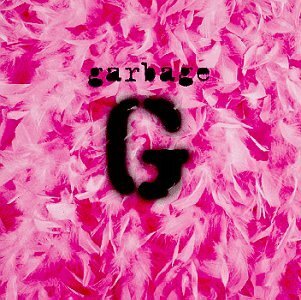 In an era where grunge music and alt rock was all the range, Garbage saw an opening and seized it. This isn’t your standard run-of-the-mill 90s alt rock album, it offers much more than that. It somehow managed to be a pop album while maintaining a dark, almost experimental sound. For example, they found the cool sound of a recording tape deck backing up which became the hook for one track. No question Vig’s production experience turned this into a noteworthy album. Without his skills, this album could have fallen hard into obscurity. Shirley Mansion does the perfect job too, not being the pop star prototype. She’s in your face, rebellious and has one of the more recognizable vocals from the time. The marriage of the two was bound to create something special and they nailed it. In the mid 2000s, Garbage lost some steam and the music started to die out. After some time off, they’re back in the studios looking to release an album again this year. I’m not sure anything can top this one, as it’s a classic 90s staple. Don’t waste your money on garbage today; pick up Garbage for $5 bucks. New and even better Remote PC Support!